12 V, 10 Ah. 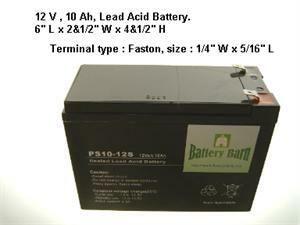 Lead Acid / AGM battery, Weighted 7.2 pounds .This battery only can be shipped to US zip code address. Sorry! we can't take oversea or Canada orders on this battery.